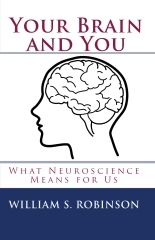 In a thoughtful recent article, John Monterosso and Barry Schwartz rightly point out that whatever action we may take, it is always true that our brains “made us do it”. They are concerned that recognition of this fact may undermine our practice of holding people responsible for what they do, and say that “It’s important that we don’t succumb to the allure of neuroscientific explanations and let everyone off the hook”. The concern arises from some of their experiments, in which participants read descriptions of harmful actions and were provided with background on those who had done them. The background was given either (a) in psychological terms (for example, a history of childhood abuse) or (b) in terms of brain anomalies (for example, imbalance of neurotransmitters). The striking result was that participants’ views about responsibility for the harmful actions depended on which kind of terms were used in giving them the background. Those who got the background in psychological terms were likely to regard the actions as intentional and as reflecting the character of the persons who had done them. Those who got the background in terms of brain facts were more likely to view the actions as “automatic” and only weakly related to the performers’ true character. The authors of the article describe this difference as “naive dualism” – the belief that actions are brought about either by intentions or by physical laws that govern our brains, and that responsibility accrues to the first but not the second. Naive dualism unfortunately ignores the fact that intentions must be realized in neural form – must be brain events – if they are to result in the muscle contractions that produce our actions. They recommend a better question for thinking about responsibility and the background conditions of our actions. Whether the background condition is given as a brain fact, or a psychological property, or a certain kind of history, we should ask about the strength of the correlation between that condition and the performance of harmful actions. If most of those who have background condition X act harmfully, their level of responsibility may be low, regardless of which kind of background fact X is. If most of those with background condition X do not act badly, then having X should not be seen as diminishing responsibility – again, regardless of which kind of background condition X may be. This way of judging responsibility is compatible with recognizing that we all have an interest in the preservation of safety. Even if bad behavior can hardly be avoided by some people, and their responsibility is low, it may be perfectly legitimate to take steps to prevent them from inflicting damage on others. I’ll add here a speculation on a mechanism by which citing brain facts may lead us to assign people less responsibility than we should. Many reports of brain facts emphasize the role of some part of the brain. But we do not think of people as their parts: Jones is not his insula or his amygdala, Smith is not her frontal lobes or her neurotransmitters. So, some reports of background conditions in terms of brain facts may lead us to think of actions as the result of people’s parts, and thus not as the actions of the whole person. A corrective to this kind of mistake is to bear in mind that our encouragements of good behavior and our threats of punishment are addressed to whole persons. Whole persons generally do know what is expected of them, and in most cases knowledge of these expectations offsets deficiencies that may occur in some of our parts. Our brains are organized systems, and the effects of their parts can become visible only when the whole system is mobilized toward carrying out an action. This entry was posted on Thursday, August 2nd, 2012 at 4:54 pm and is filed under RE: "free will". You can follow any responses to this entry through the RSS 2.0 feed. You can leave a response, or trackback from your own site.